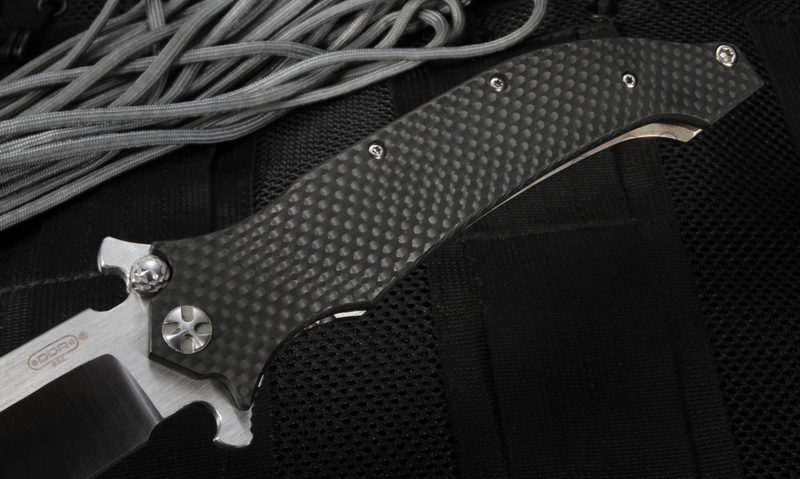 Exclusive Limited Edition Darrel Ralph custom AXD 5.5" assisted opening folding knife. 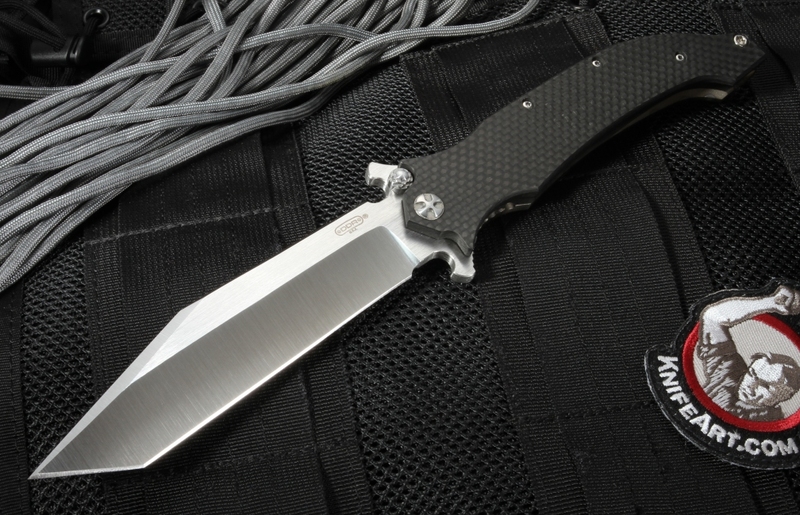 The tanto style blade has satin finished flats and deep hollow grinds. 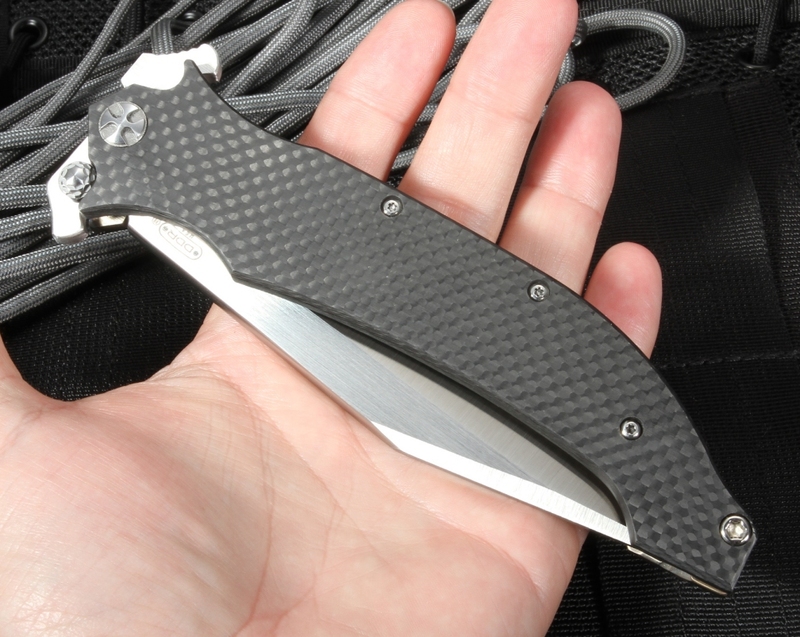 The integral blade guard also serves as the flipper. American made stainless CPM 154 steel blade with a Rockwell of 59-60. 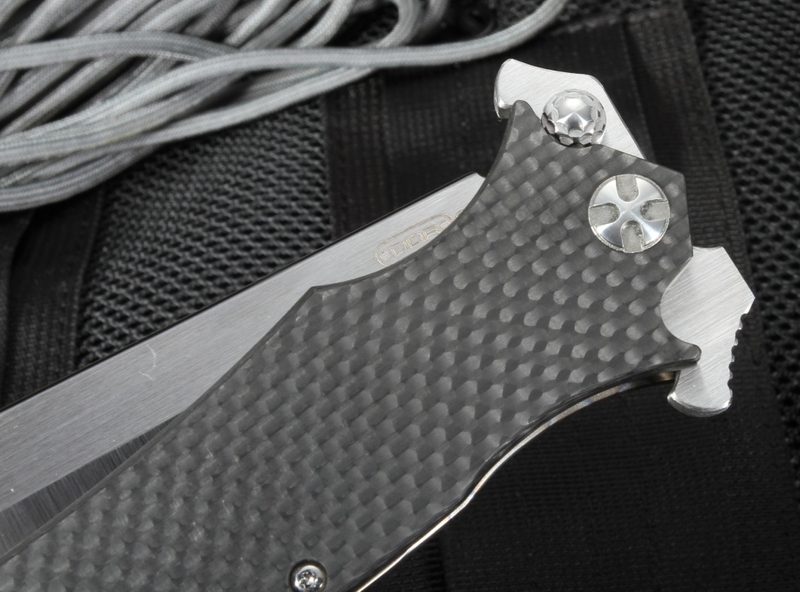 The handle is constructed of heat flamed titanium and solid black carbon fiber with titanium barrel spacers. 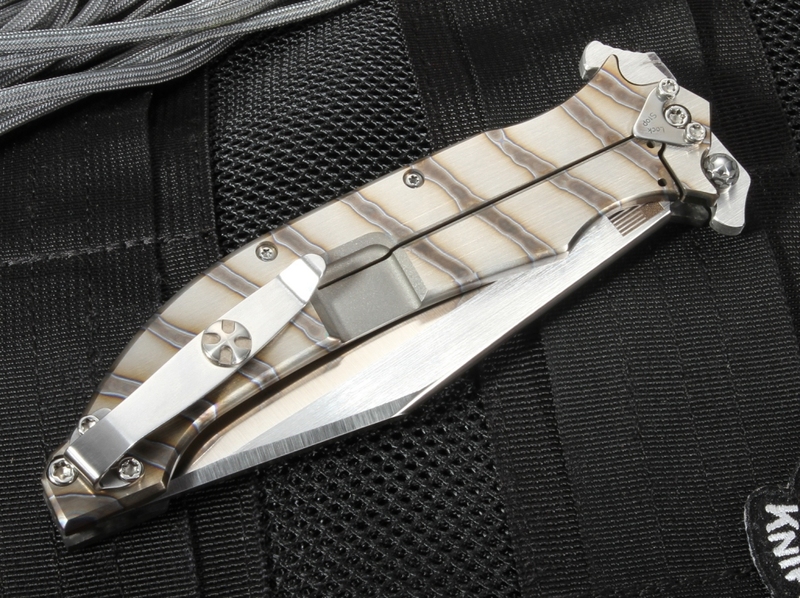 Satin finished titanium pocket clip is mounted for blade tip up carry. 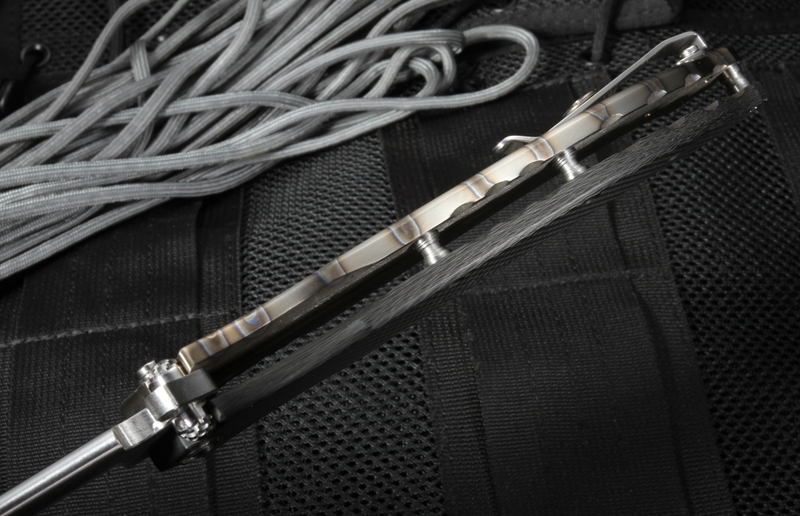 The frame lock features a lock bar stabilizer. This is a serious knife for serious situations. The spring assisted feature really helps kick this blade out quickly when you need it. Big and bold in every way. with a 5.5" blade and 11.5" overall, this assisted Darrel Ralph AXD Tanto flipper is not for the faint-hearted. This knife is incredible. It is very well made and csn be used as a daily carry knife. 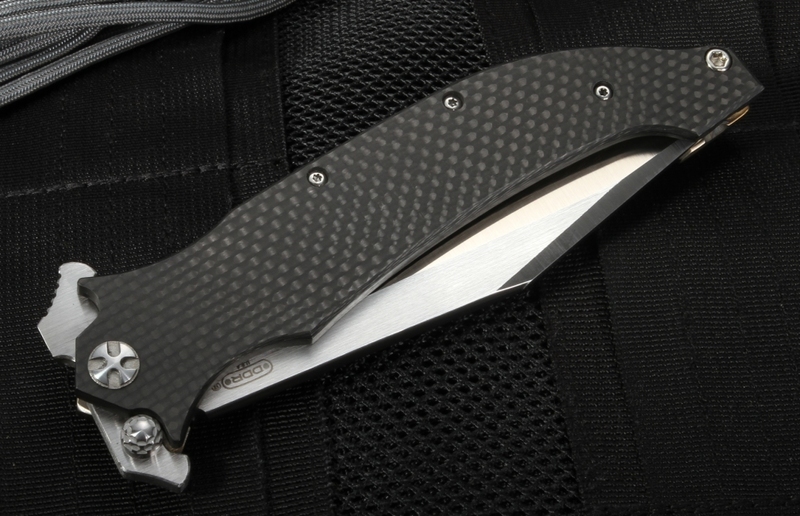 If your looking for a big solid knife thats ready for any task then this is the one to get. I would have bought this knife, except I find that scales of different materials, like in this one, to be really off-putting. Why do folder makers insist on doing this? It's not attractive!